Neurodegenerative diseases, such as Parkinson and Alzheimer, are among the main public health issues in the world due to their effects on life quality and high mortality rates. Although neuronal death is the main cause of disruption in the central nervous system (CNS) elicited by these pathologies, other cells such as astrocytes are also affected. There is no treatment for preventing the cellular death during neurodegenerative processes, and current drug therapy is focused on decreasing the associated motor symptoms. For these reasons, it has been necessary to seek new therapeutical procedures, including the use of growth factors to reduce α-synuclein toxicity and misfolding in order to recover neuronal cells and astrocytes. Additionally, it has been shown that some growth factors are able to reduce the overproduction of reactive oxygen species (ROS), which are associated with neuronal death through activation of antioxidative enzymes such as catalase, superoxide dismutase, glutathione peroxidase, and neuroglobin. 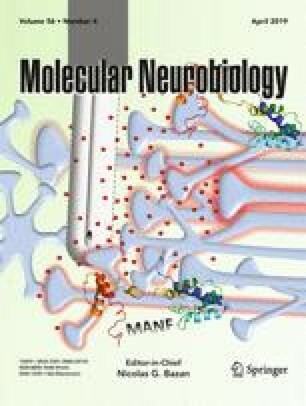 In the present review, we discuss the use of growth factors such as PDGF-BB, VEGF, BDNF, and the antioxidative enzyme neuroglobin in the protection of astrocytes and neurons during the development of neurodegenerative diseases. A correction to this article is available online at https://doi.org/10.1007/s12035-018-1257-8. This work was supported in part by PUJ grants to GEB.